VR is the future of technology, and nobody has any doubt about it. The development rate of VR technology simply soared in 2016, and we’re sure that this trend will continue to grow in the coming years. 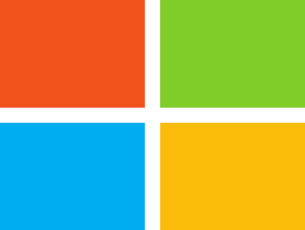 As a quick reminder, in 2016, Microsoft introduced its HoloLens VR headset, and the Xbox One Scorpio capable of running R games. Also, many PC manufacturers launched impressive VR machines, such as the GT73 and GT83 Titan SLI, or the Alienware 15 and 17. As VR technology is becoming more and more affordable, many potential buyers are already looking for VR ready laptops. To make your task easier, in this article, we’re going to list the best VR ready laptops available, so that you can learn more about the current VR laptop offer. ASUS ROG Strix GL502 is a powerful VR ready gaming laptop that will definitely impress you. Unlike traditional gaming laptops, GL502 is very lightweight, striking the perfect balance between gaming performance and portability. As expected, it has a sleek design and gamer-centric features. It’s equipped with the latest hardware that can power it through heavy gaming or multitasking. The display can be seen clearly up to 160 degree, and there’s very little color shift even when you’re viewing it from extreme positions. NVIDIA G-SYNC perfectly synchronizes the display refresh rates to the GPU, eliminating screen tearing, stutter and input lag. The Hyper Cool Duo-Copper cooling system uses heat pipes and a dual fan system to cool down the CPU and GPU independently. Graphics Card: NVIDIA Geforce GTX 1070 8GB GDDR5 | Display: 15.6-inch Full HD Display (1920 x 1080). Do you need more information when you see a title like the one above? 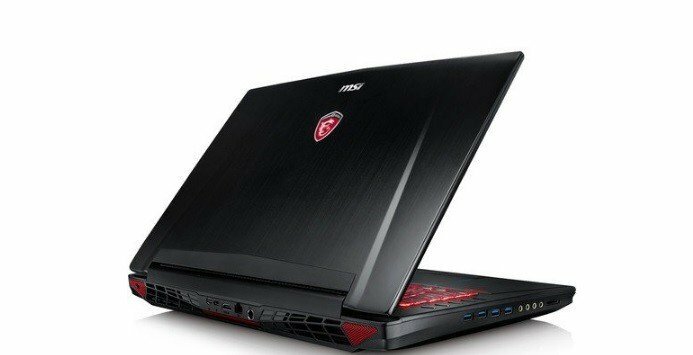 MSI VR Ready GT73VR Titan is the perfect gaming laptop for many players, and for a good reason. This VR ready laptop relies on the SteelSeries Engine 3 technology to customize your lighting with multiple backlit colors, program personalized macros, and sync it all through the Cloud. The Cooler Boost Titan technology makes sure no task is too strenuous for this device. Dedicated thermal solutions for both the CPU and GPU, with a total of 10 heat pipes, boost the laptop‘s performance under extreme gaming. GT73VR Titan SLI-058 also comes equipped with the latest Thunderbolt 3, that supports up to 400Gbps data transfer rates and dual 4K displays with daisy chain capabilities. What more can you ask for? With this laptop, any screen tearing and jitters are a thing of the past. The all new 120Hz IPS level panel with 5ms response time and the ultra fast refresh rate lets you react instantly to the game action. Don’t expect this monster to have a friendly price tag! 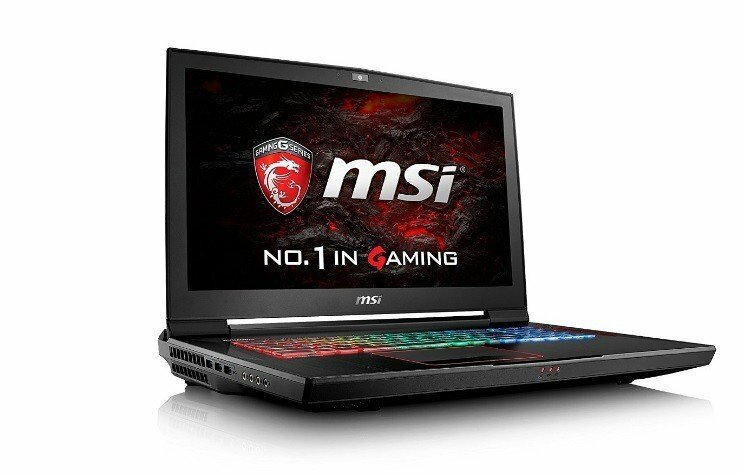 If we got you curious, check out its cousin, the MSI VR Ready GT83VR Titan SLI-024 18.4″ Extreme Gaming Laptop. MSI GT72 Dominator G-831 uses the latest CPU architecture and DDR4 memory support to quench your thirst for extreme gaming. Insanely powerful NVIDIA GeForce GTX 970M Series delivers extreme gaming performance in an ultra-portable design. Don’t forget to enable antialiasing for a smooth and realistic gaming experience. The Thunderbolt 3 technology allows you to transfer massive files with up to 40Gbps transfer speed. The Cooler Boost 3 cooling technology with the efficiently designed dual fan cooling system guarantees your CPU and GPU can withstand hours of intense gaming. MSI’s exclusive True Color Technology brings vibrant colors, stunning game details, and sharp images. What about sound quality? MSI GT72 Dominator G-831 lets you fill the room and feel the bass with Dyanudio high fidelity speakers. Since controls are essential in gaming, this VR ready laptop gives you an unfair advantage, day or night, with the agile gaming keyboard by SteelSeries. Buy it now on eBay. 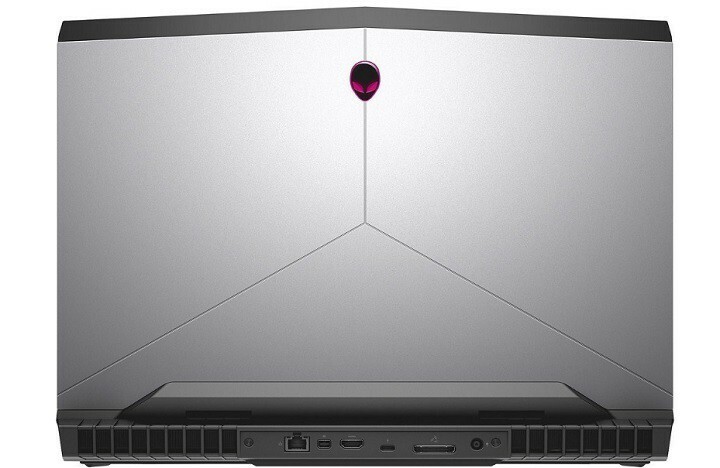 As you may have noticed, the vast majority of VR ready laptops are actually gaming laptops. The HP OMEN 17 laptop is one of the few VR laptops that can also be used by business professionals. Its Intel Quad Core i7-6700HQ CPU powers it to run even the most demanding tasks, while the big 17.3-inch UHD IPS UWVA anti-glare WLED-backlit display renders high-quality images. The Bang & Olufsen Quad speakers deliver powerful sounds, while the HP Wide Vision HD Camera with dual array digital microphone is perfect for online business conversations. HP OMEN 17 weights only 7.39 lb/ 3.3 kilos, which makes it pretty easy to carry around. 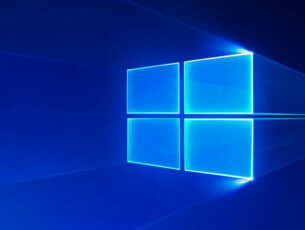 In terms of connectivity, it offers: 3 USB 3.1 Gen 1 (data transfer only), 1 mini DisplayPort, 1 HDMI, RJ-45 and 1 headphone/microphone combo. 16GB RAM, 6-cell 95.8 WHr Lithium-ion Battery. 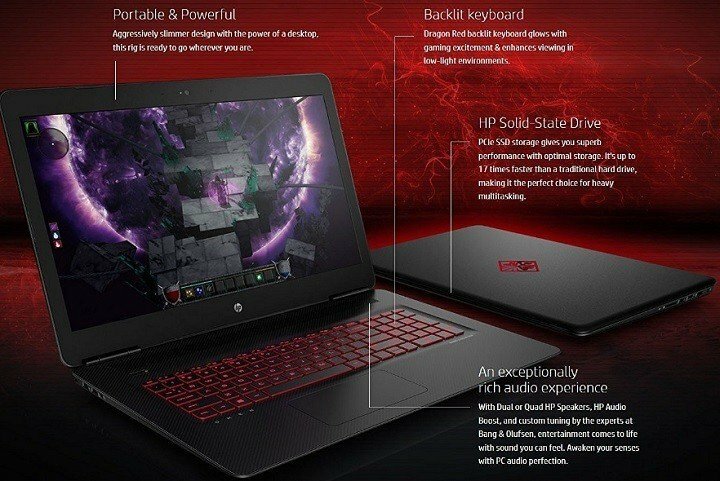 You can buy the New HP OMEN 17 VR ready laptop under $2,000 at the moment. It’s easy to recognize the ASUS ROG G752VS OC Edition VR ready laptop due to its unique design and colors. This powerhouse can deliver up to an 180% performance boost over previous generations, thanks to its overclocked CPU. With ROG G752VS as your ally, you’ll dominate the learderboards without any problem. 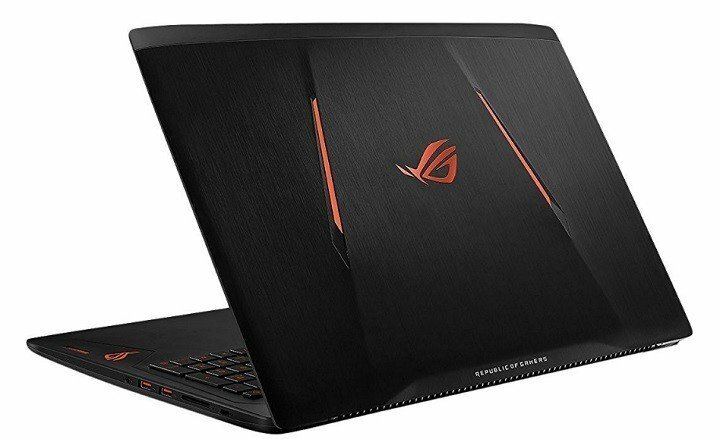 The laptop uses dual copper heat pipes and the ROG 3D Vapor Chamber technology for cooling. This combo allows it to work properly even when running the most demanding games. The 17.3” FHD 1920×1080 G-SYNC display with 178-degree viewing angles allows you to perfectly see what’s going on on the screen even from the most extreme angles. The Backlit Anti-Ghosting Keyboard interprets your commands instantaneously and correctly, even if you hit up to 30 keys at the same time. 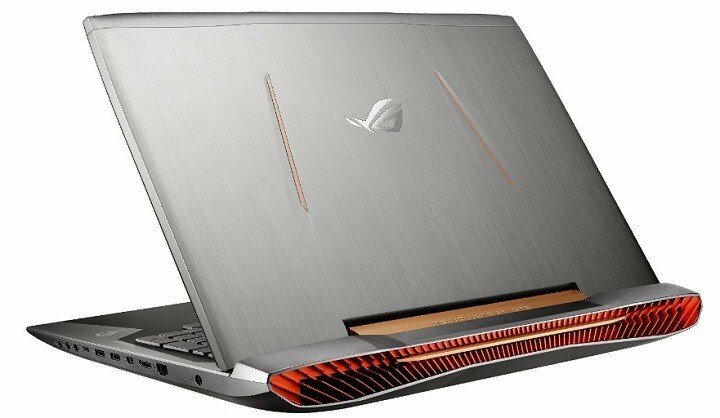 You can purchase the ASUS ROG G752VS OC Edition VR ready laptop under $2000 now. 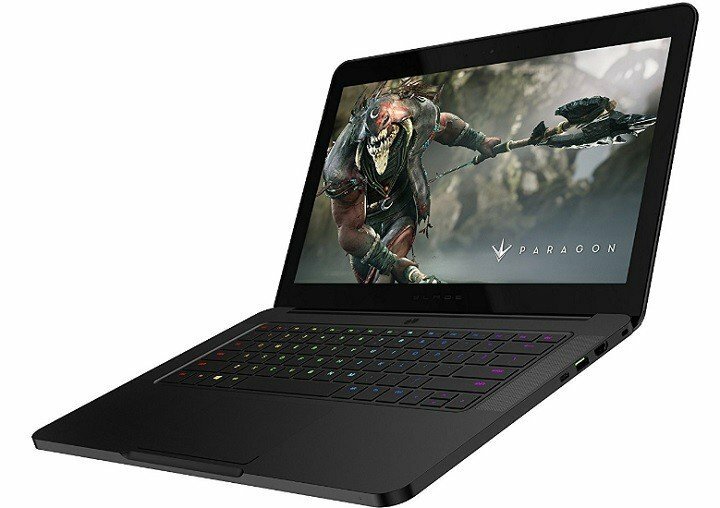 If portability is a key factor for you when buying a VR ready laptop, you should check out the Razer Blade 14 GTX 1060 laptop. This device strikes the perfect balance between power and portability. The 16GB of dual-channel memory, and PCIe-based SSD storage up to 1TB are more than enough for most gamers. Razer Blade 14 packs this power into a thin and light 0.70 inch unibody aluminum chassis, perfect to put it in your bag. The display is optimized for gaming, allowing you to go to the max graphics settings in Full HD, and enjoy wide viewing angles with fast response times for smooth video and blur-free gaming. Thunderbolt 3 – The one port that does it all. You can buy the Razer Blade 14 GTX 1060 laptop for about $3,000 now. This VR ready laptop is powered by an Intel Core i7 CPU, together with NVIDIA GeForce GTX 1060 Graphics with 6GB GDDR5. It supports wide 160° viewing angles. Its fast performance and large storage capacity is ensured by the 16GB DDR4 RAM and 1TB HDD + 256GB SSD. Using a keyboard has never been easier. The red-backlit scissor-switch keys offer 1.6mm of travel distance for tactile keystrokes. 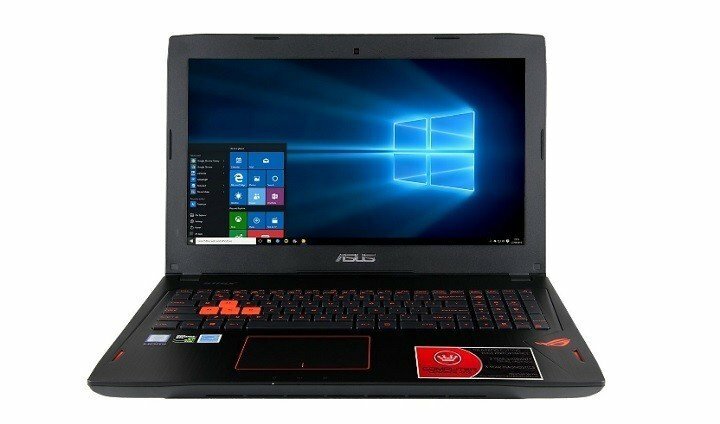 You can buy ASUS GL502VM-DB74 ROG Strix for just about $1,150 now. The moment you see this laptop, you’ll definitely reach to your wallet to buy it. Featuring a new design, and excellent specs, this monster will become your best friend from day one. 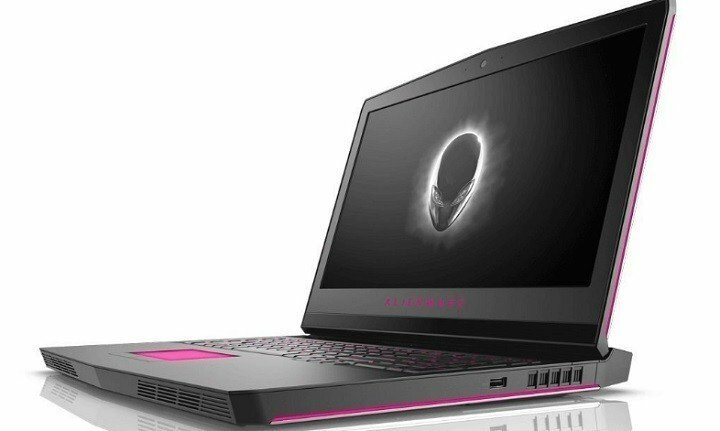 Alienware 17 R4 GTX 1070 is powered by an Intel Core i7-6700HQ CPU: Quad-Core, 6MB Cache, up to 3.5GHz w/ Turbo Boost. Running even the most demanding games will be a piece of cake for this machine. The 16GB Dual Channel (8GBx2) DDR4 system memory allows it to withstand even the most intense multitasking and gaming tasks. The total 1.25TB hard drive is the perfect mix of storage space and speed. The IPS Anti-Glare 300-nits display with Tobii IR Eye-tracking allows you to see even the slightest game details, offering you a valuable upper hand. The VR ready laptops listed above cover a wide range of requirements: some are ultra-portable, other have huge displays, some are overclocked and deliver 180% more performance than regular laptops, while others have very friendly price tags. Think about what you’re looking for in a laptop, and buy the device that best meets your needs. Feel free to use the comment section below if you’d like to add other VR ready laptops to our list.